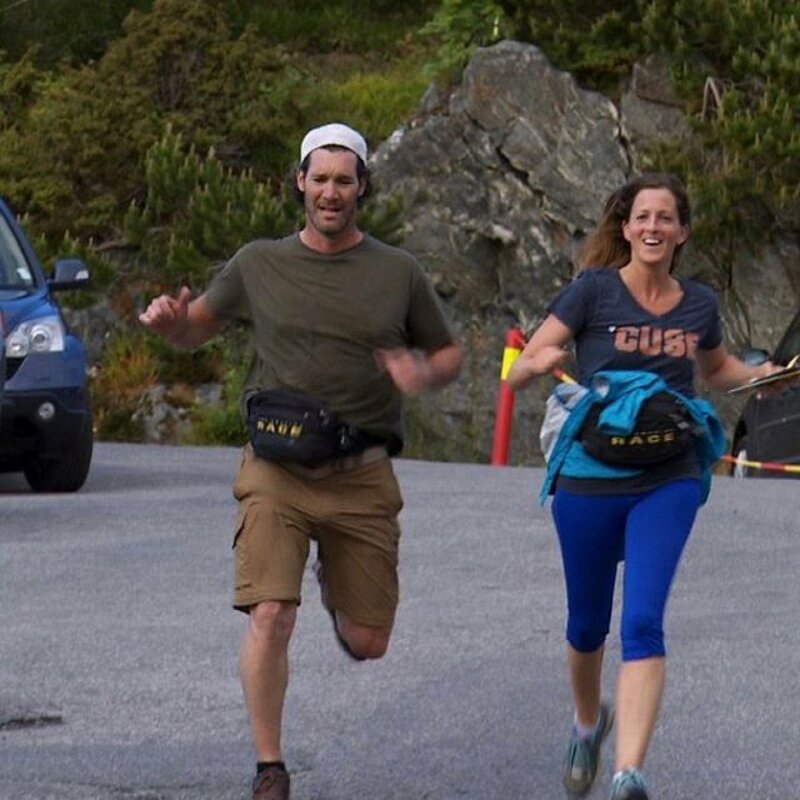 The Amazing Race featured a non-elimination leg in which Tara Carr and Joey Covino could continue racing with four other teams during Thursday night's first broadcast of the Season 29 two-episode event on CBS. Tara, a 38-year-old U.S. Army officer from Alexandria, VA, and Joey, a 46-year-old police sergeant from Saugus, MA, were saved from elimination after they arrived at the Race's ninth Pit Stop at the lake in Thong Nhat Park in Hanoi, Vietnam in last fifth -- and last -- place. Ironically, Tara and Joey departed the eighth Pit Stop in Athens, Greece, in first place at 2:40PM. They were then followed by Matt Ladley, a 25-year-old pro snowboarder from Denver, CO, and Redmond Ramos, a 28-year-old former U.S. Navy corpsman from Murrieta, CA, at 3:01PM, and then Scott Flanary, a 34-year-old recruiting manager from West Hollywood, CA, and Brooke Camhi, a 36-year-old criminal attorney from New York, NY, at 3:39PM. London Kaye, a 27-year-old artist from Brooklyn, NY, and Logan Bauer, a 27-year-old surgical consultant from Columbus, GA, departed next at 5PM; and behind them were Becca Droz, a 26-year-old rock climbing instructor from Boulder, CO, and Floyd Pierce, a 21-year-old college drum major from Boulder, CO, leaving at 5:23PM. The teams' first set of clues instructed them to head to the Corinth Canal, a four mile waterway. Tara and Joey were pissed off at Brooke and Scott for having U-Turned Michael Rado and Liz Espey, saying it was a heartless move and not good gameplay. Tara and Joey didn't want to be "backstabbers" in the Race like them. On the way to the task, Scott vented about he was forced to do the next Roadblock because he had completed the same number as Brooke. The only thing he didn't want to do was bungee jump because he's terrified of heights. Once at the canal, much to Scott's dismay, he learned the Roadblock task was bungee jumping 240 feet into the Corinth Canal as previously seen on Season 9 of The Amazing Race. Scott called the activity his "worst nightmare" and "No. 1 fear." The participating Racers completed the bungee jump in the following order: Joey, Matt, Scott, Logan, and Becca. "That was horrible," Scott said after he jumped. "I will never again do that in my life." The teams were then instructed to fly Hanoi, Vietnam and make their way to Ly Thaito statue, where they must search for their next clue. All five teams grabbed seats on the same flight and everyone traveled about 5,000 miles. Becca and Floyd arrived at the statue before any of the other teams, and on their heels were Brooke and Scott, London and Logan, Matt and Redmond, and finally Tara and Joey. There was a huge group of females dancing with fans, and one of the women held onto the teams' next set of clues. Becca and Floyd received their next clue, followed by Brooke and Scott, Matt and Redmond, London and Logan, and then Tara and Joey. The teams then made their way to the beautiful Quan Su Buddhist Temple. Becca and Floyd got to the temple in first place. They were then followed by Brooke and Scott, Matt and Redmond, London and Logan, and Tara and Joey. It then became time for the teams to complete one of two possible Detour tasks: "Bamboo Climb" or "Window Design." "Bamboo Climb" required the teams to pick up one of three marked bamboo ladders and carry it through the streets to a nearby apartment building. Once inside the building, the teams had to squeeze the ladder up a narrow stairway and retrieve a birdcage from the roof. When the teams returned both the ladder and birdcage to where they started, they'd receive their next clue. "Window Design" required the teams to carry three mannequins to a marked shop and then use a photo as reference to create a window display. All of the teams wanted to do the bamboo task but only three ladders were available. Brooke and Scott weren't quick enough to grab a ladder, so they were forced to complete the mannequins task instead. Knowing there were no ladders left, Brooke and Scott also sent Tara and Joey running in the wrong direction looking for them. Joey later vented to the cameras how they should never have trusted Brooke because they fell way behind the pack. While attempting to carry the mannequins, Brooke and Scott bickered in the busy streets over what happened with the ladder, blaming each other for missing out on the last available ladder to London and Logan. Brooke eventually complained that she couldn't carry the mannequins anymore and it led to a blowout fight in which she called him "abusive" and Scott called her "the worst." Scott yelled that he did all the work for their team, and Brooke sarcastically pointed out that everything was always her fault. Getting the ladder up the stairs proved difficult for all the teams. Meanwhile, Joey's mannequin was falling to the ground limb by limb. In the end, Tara and Joey's display was rejected the first time they finished it because Tara misread the clue and did not realize they needed to transport three mannequins -- not just two -- to the shop. Tara blamed herself but Joey didn't make her feel worse about it. Becca and Floyd finished the Detour task in first place. Behind them were Matt and Redmond, London and Logan, Brooke and Scott, and finally Tara and Joey, whom the other teams called "Mom and Dad." Meanwhile, The Amazing Race host Phil Keoghan was waiting under the trees in the middle of Thong Nhat Park for the teams, which served as the Race's ninth Pit Stop. Becca and Floyd arrived at the Pit Stop in first place, and Phil announced they had won a trip for two to the Galapagos Islands for seven nights. The pair joked they were "Team Funstoppable." Matt and Redmond completed the leg in second place, and then London and Logan claimed third. Brooke and Scott were behind them in fourth place, and then Tara and Joey eventually arrived in fifth place. Joey collapsed at the Pit Stop from apparently overheating and dehydration. Brooke asked if they were okay, but Tara snapped, "Now you care? They knew there were no more ladders and they didn't say anything. And now she wants to know if I'm okay?" Brooke said there was a huge difference between finding a Detour task and having concern for one's health. Tara and Joey were thrilled to still be racing, and Joey called Brooke and Scott "deceitful" and "devious."